Easy DIY Fortnite Zoey skin costume, perfect for a Halloween costume or Fortnite Zoey Cosplay! Like every single gaming kid out there, my kids wanted to dress up like Fortnite skins for Halloween! Last week I posted this EASY DIY Fortnite Drift costume I made for my son and now it is my daughters turn! 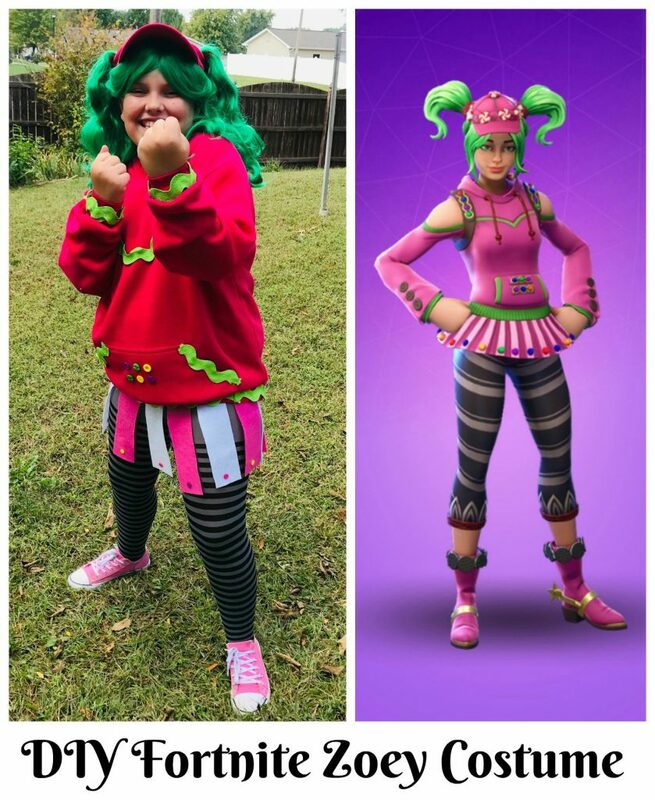 My daughter loves a wig so it was not much of a shocker that she chose to dress up my Fortnite Zoey for Halloween! This costume called for a LOT more “craftiness”, which I lack, but I think it turned out pretty good!! Check out the short video below of how I put it together!